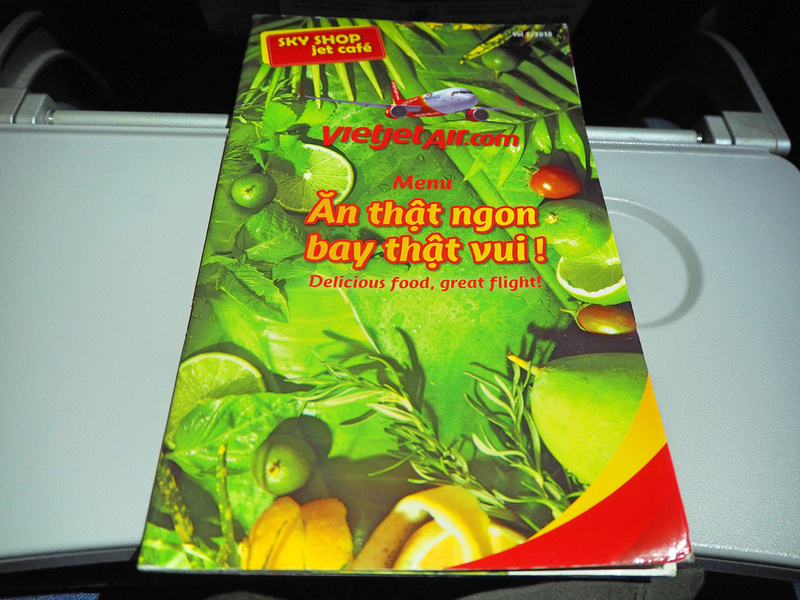 I flew with VietJet Air from Taipei to Ho Chi Minh City. I compared flights with Skyscanner, and Vietjet was the cheapest option. 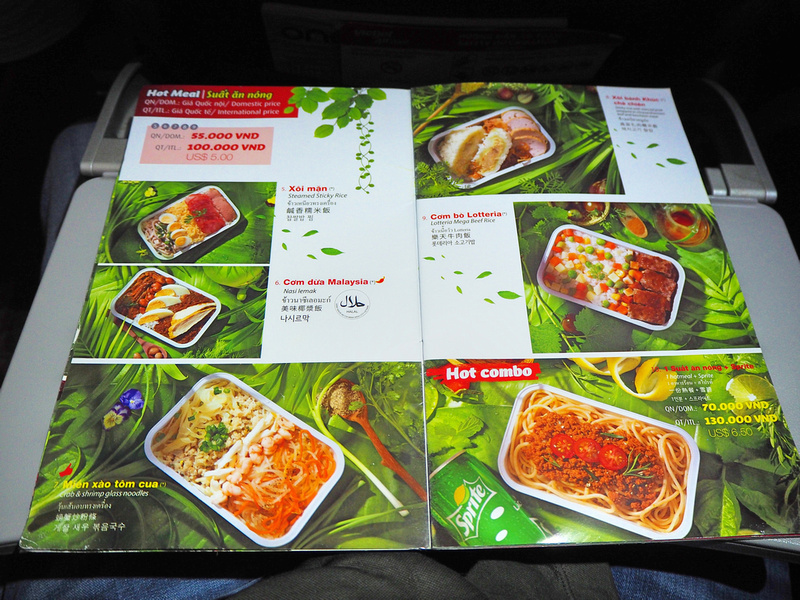 The last time I visited Taiwan it was with EVA Air from Ho Chi Minh City. 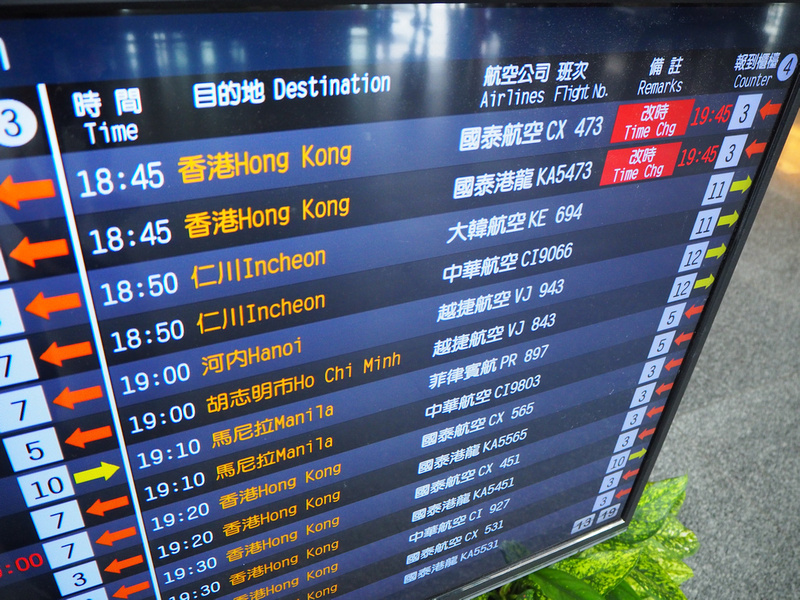 Other airlines that fly the route are Vietnam Airlines and China Airlines. The total price with a bag was $162.57 USD, which is a good deal for a 3.5 hour flight. The nearest offers were over $200 by the other airlines. The base fare was $94.60, so you could get the flight down to under $100 if you held out for a flight sale. 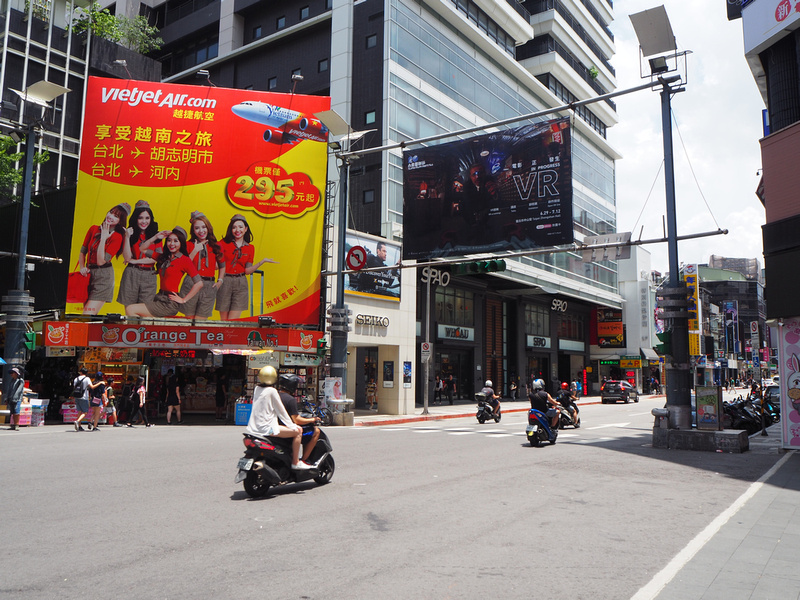 On the streets of Taipei I saw a VietJet billboard that was advertising the fare from 295 TWD ($9.65 USD). That would work out to about $78 USD with a bag included. The cheapest I’ve found was about $70 USD. My trip was booked within a month of travel so I wasn’t expecting the bargain prices. Since my last visit to Taipei the airport metro has opened, so it’s now even easier to get to the airport. There is no online check-in at this point, so I got to the airport a bit earlier to get the process out of the way. 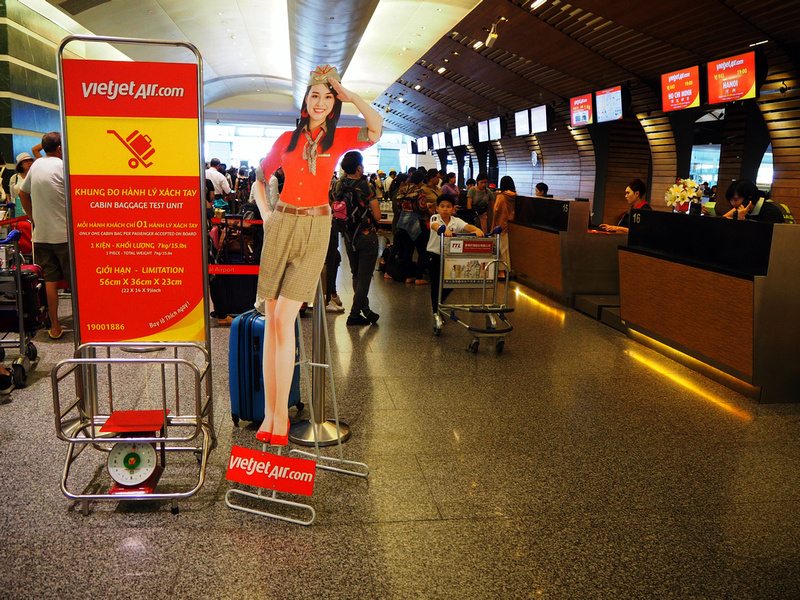 VietJet fly to Taipei from Ho Chi Minh City and Hanoi, and for the evening flights they leave at exactly the same time at 7pm. There is one check-in row dedicated to VietJet, and both flights are in the same queue. I was there before checking in began and was 8th in the line. By the time the check-in began the line was snaking around beyond the row. 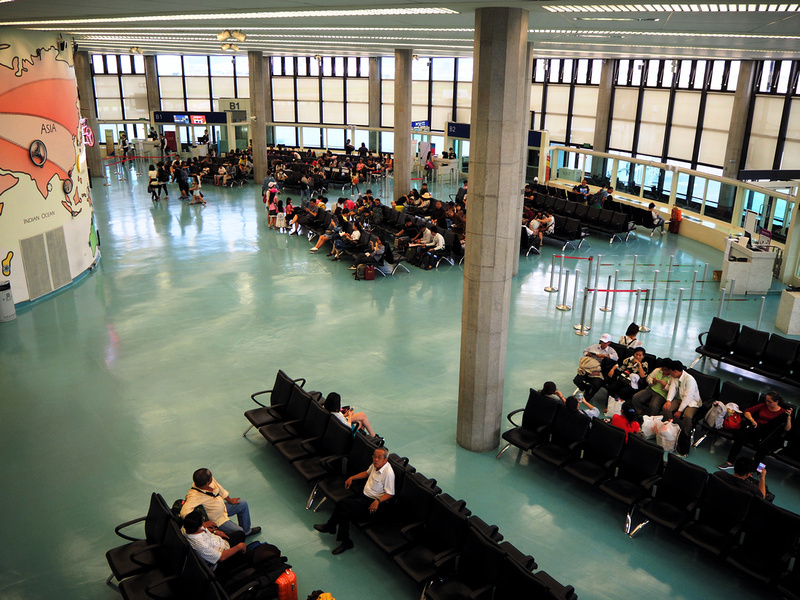 Taiwan Taoyuan International Airport is a big airport, and in 2016 it was the 10th busiest airport in the world by international passenger traffic. Despite its size and efficiency it does lack variety in the food department. With both VietJet flights departing from the same gate area, I was wondering which one would arrive first. Hanoi arrived first, and both flights left for an on time departure. The flight departs at 7pm, arriving at SGN at 9.25pm, for a total 3H, 25M travel time. 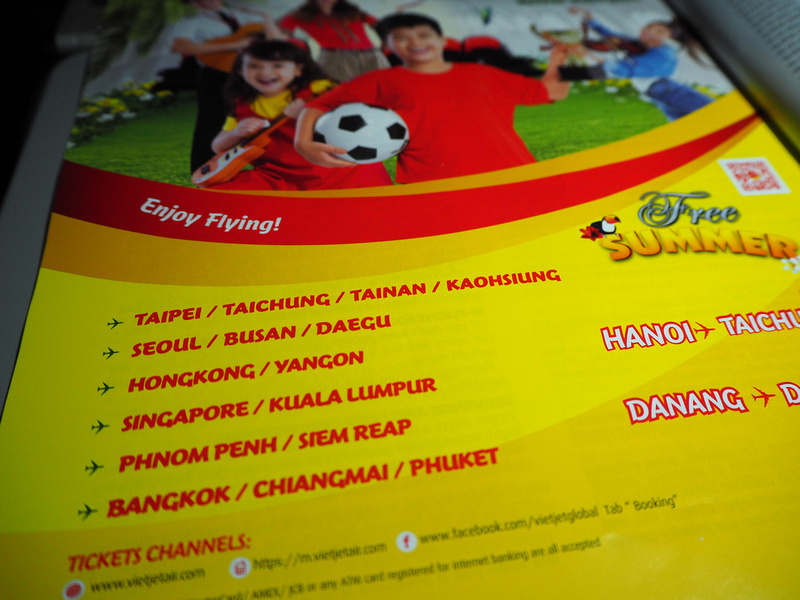 One2go – the inflight magazine for VietJet Air. 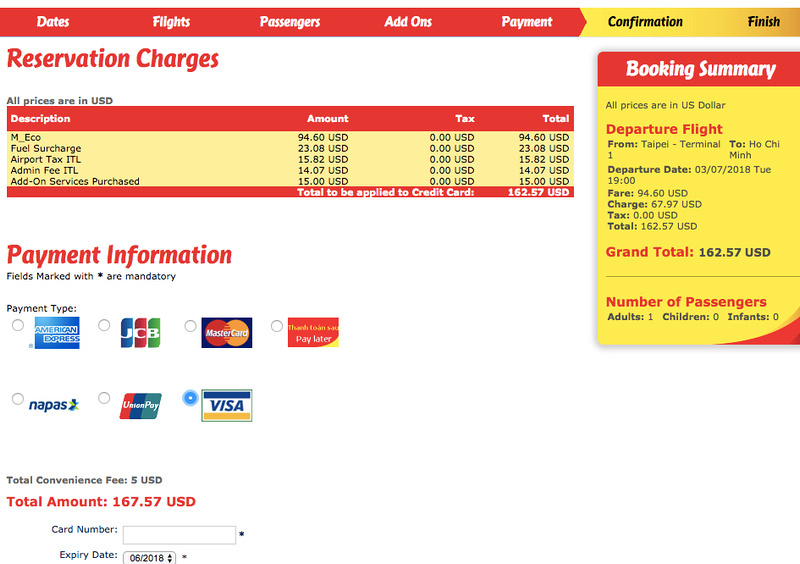 The leg room is pretty tight on VietJet compared to EVA, thus it’s also cheaper. I got an aisle seat so I could get up more often if need be. The flight was full, and judging by the passengers holding passports in their hand while boarding, most of the passengers were Vietnamese. There were a lot of tour groups as well, which is probably to do with the tour agents helping get a tourist visa for Vietnamese travellers. 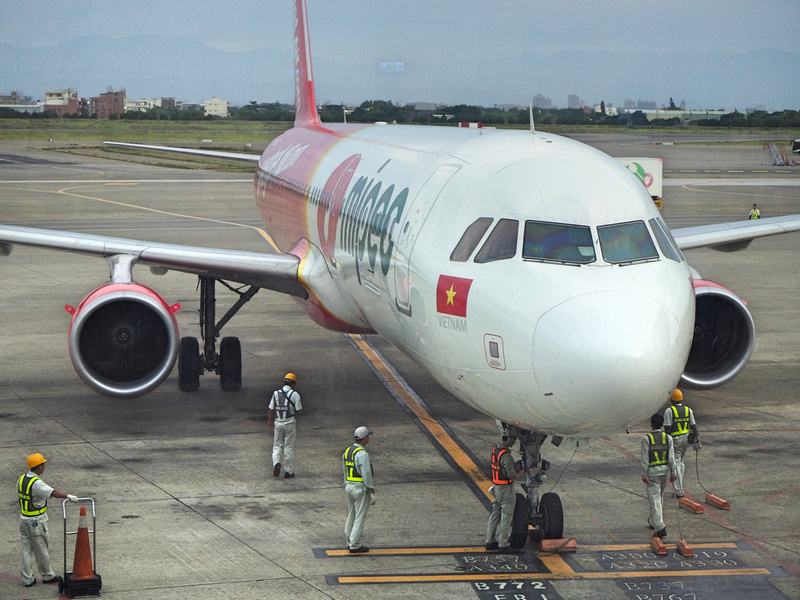 Taiwan appears to be a popular destination for Vietnam, as VietJet Air have flights to four major cities in Taiwan (Taipei, Taichung, Tainan, Kaohsiung). It would be worth investigating flying into one and out the other. There is no free meal service, so you can pre-book when you buy the ticket, or buy onboard. 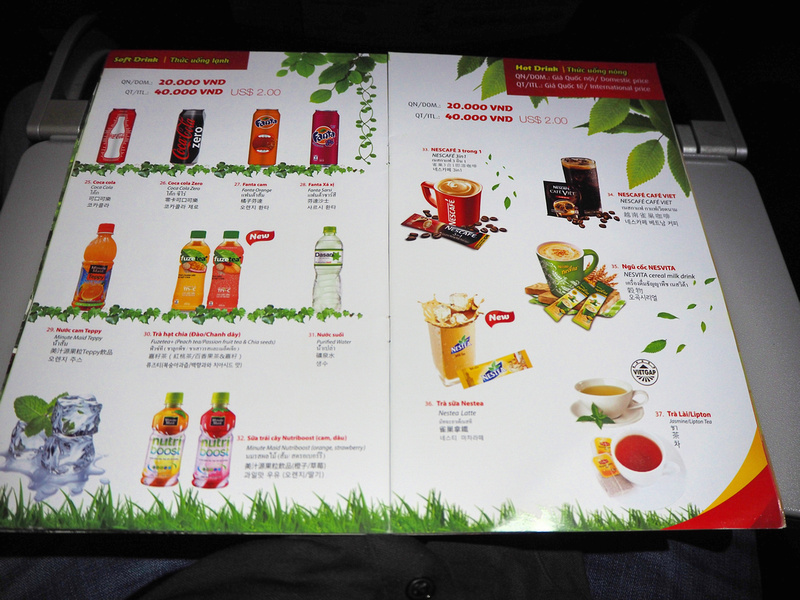 A drink, such as a coke or a coffee, is 40,000 VND ($1.75 USD). 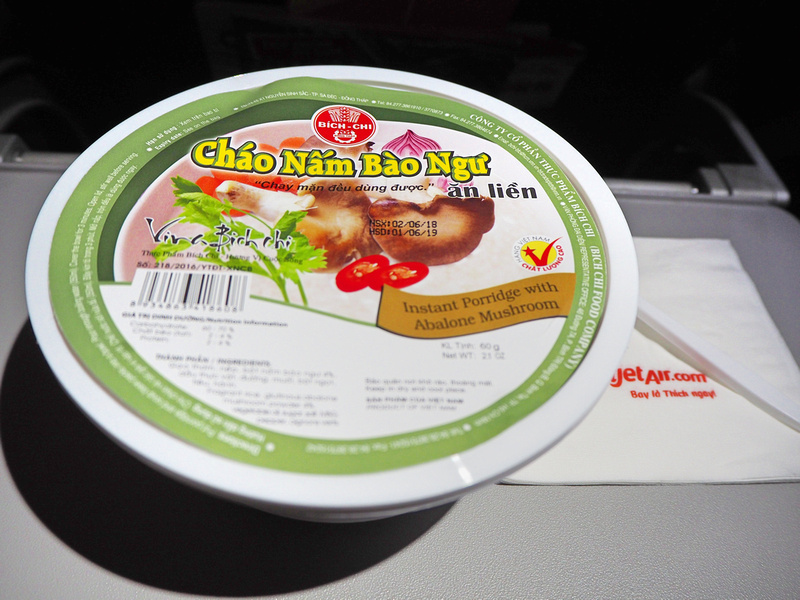 Hot meals are available for 100,000 VND ($4.37 USD). I rarely get a meal, but tonight I wanted to get something. It turned out that pretty much everything was gone, so I just went with pot noodles. Or I thought I ordered pot noodles, but once I got my meal it turned out to be rice porridge. I studied the menu again and sure enough it was listed as rice porridge. It turns out that this is the only vegetarian meal option on the whole menu, which I had not noticed before. So my vegetarian friends, eat before you travel. 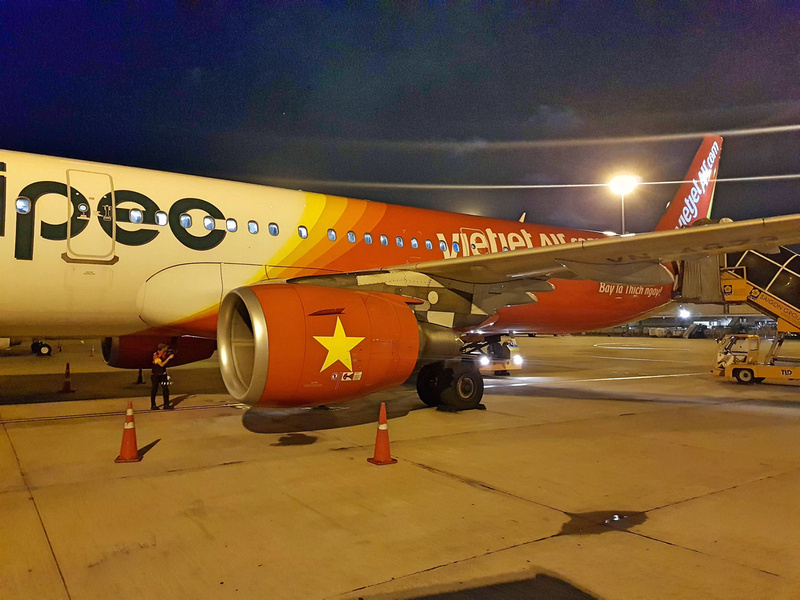 The flight arrived on time, and disembarkation was via the tarmac which is the usual case for VietJet at Tan Son Nhat International Airport. 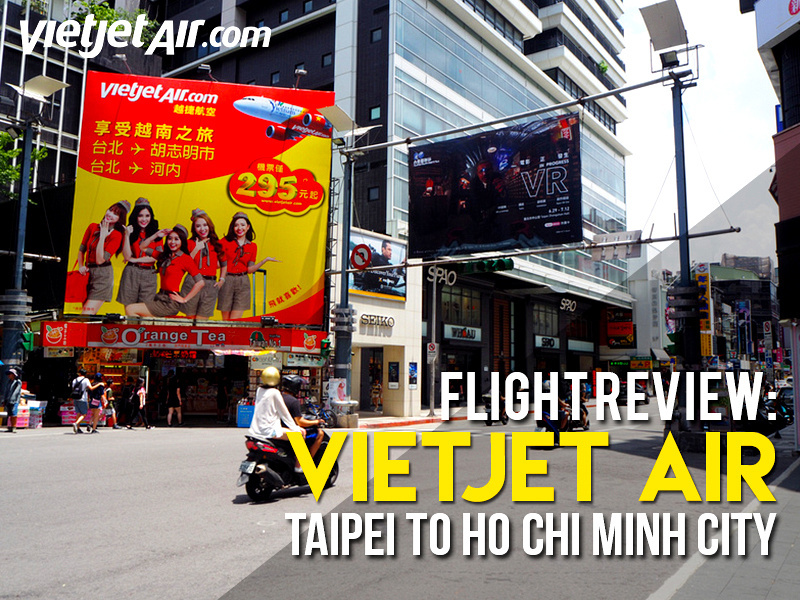 Overall this was a good option if you are looking for a cheap flight to and from Saigon and Taipei. This flight was part of a trip I took to Japan. Rather than flying direct I took two flights as Taipei is about half way between Osaka and Ho Chi Minh City. There is now a direct flight from Ho Chi Minh City to Osaka with VietJet, but that might be too far for my comfort in this seat configuration. Having said that I might be lured with an airfare sale, so we shall see.